Australia. Where do I even begin? 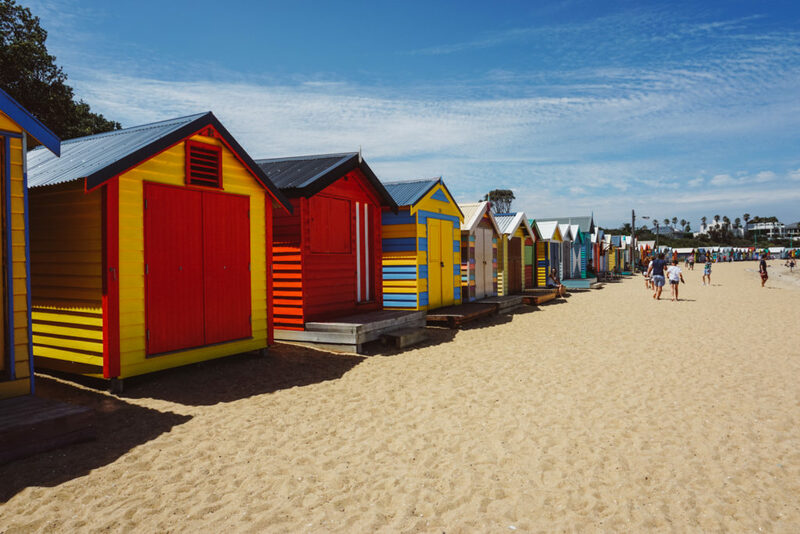 For starters, Australia has been number one on my destination bucket list ever since I was little. 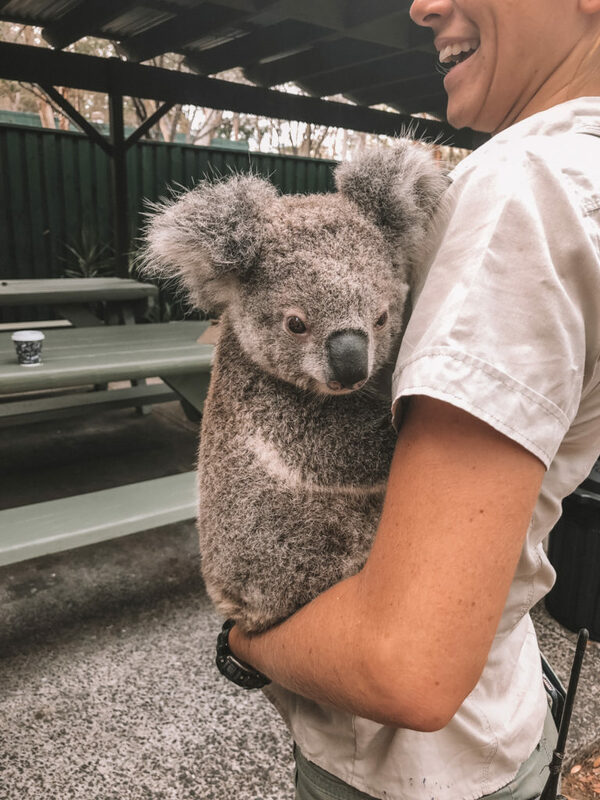 I’m a huge animal lover, so the thought of playing with kangaroos, snorkeling at the Great Barrier Reef, and snuggling koalas was always so appealing to me (I used to want a wallaby as a pet… and this trip confirmed it). 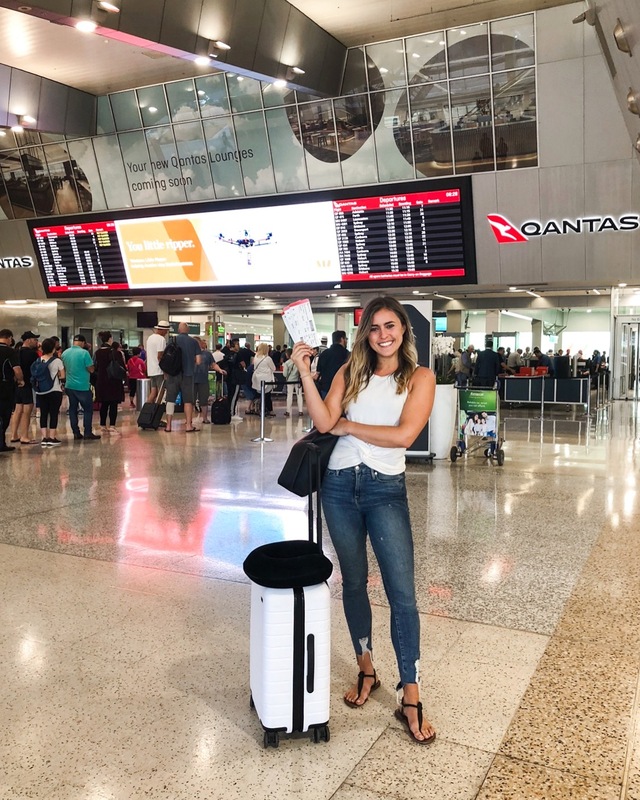 When Qantas reached out in hopes of partnering together for a sponsored trip to three different cities within Australia, I honestly didn’t think it could be real. Especially since it was so close to my birthday, it was a trip of a lifetime! Being the last minute trip that is was, we got *our (so thankful Bridger was able to travel with me) flight confirmations just two days before we left the states… a little nerve wracking for my type A travel personality. 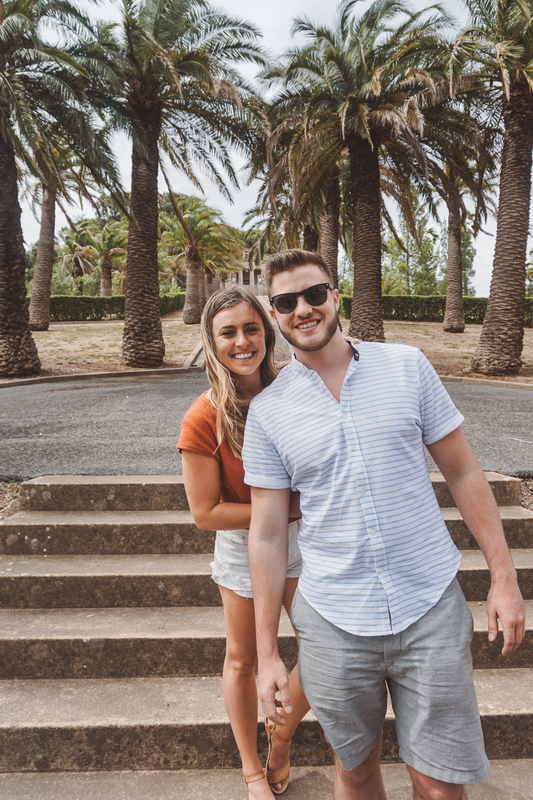 But, I will say that everything we did on this trip, including Airbnb and hotel stay, travel excursions, winery tours, etc. was booked no more than 2 days in advance, which taught me to be a lotta bit more spontaneous. 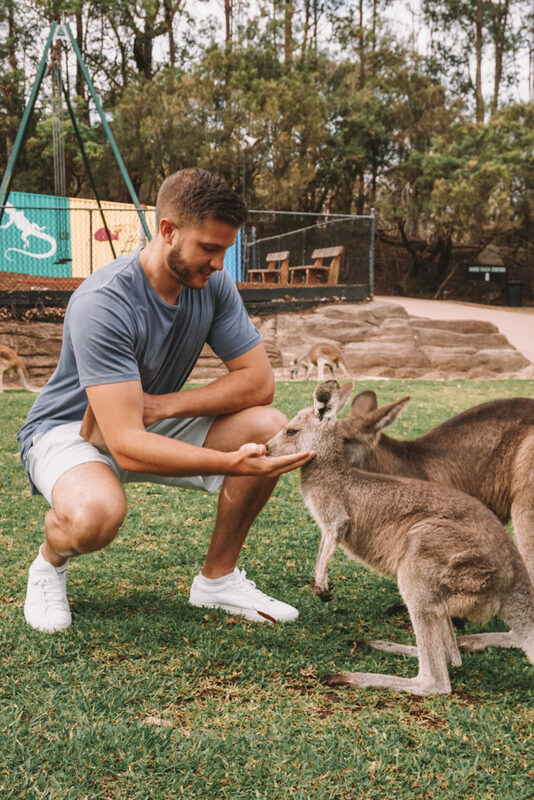 I packed so much into this Australia tour—referring to this as a tour because we really saw so much in so little time—that writing this post is getting me so excited to share all that we did! A last minute trip wouldn’t be complete without packing the day before we left! I’ll have a link soon with a list of all my travel essentials !! The tour started when we departed from Seattle and flew into LAX to catch what would be the longest flight I’ve ever taken (15.5 hours) to Melbourne, Australia. Of course, I was a little nervous to be flying this long. Would I be able to sleep? Was I going to attempt to fast the whole way? (opting not to consume food for the duration of a flight has been shown to reduce jet lag, bloat, etc.). How would I survive without wifi? All questions I asked myself. Surprisingly enough, the flight from LAX to Melbourne turned out to be the best, most comfortable flight of my life! We had the chance to fly on Qantas’ new Dreamliner plane in Premium Economy. I 100% recommend, it’s definitely worth it!! It felt like first class, the flight attendants were Australian and so friendly, the menu was actually so impressive, and I was able to sleep 7 hours overnight. We landed in Melbourne mid-morning, took a bus to our Airbnb in St. Kilda and had the rest of the day to explore. The city felt very young, hip, a bit touristy and easily accessible from basically anywhere around the area. Melbourne was very rich in healthy, wholesome foods. So much so, that I wasn’t able to try about 80% of the places I wanted to from my list of recommendations I got from you guys. 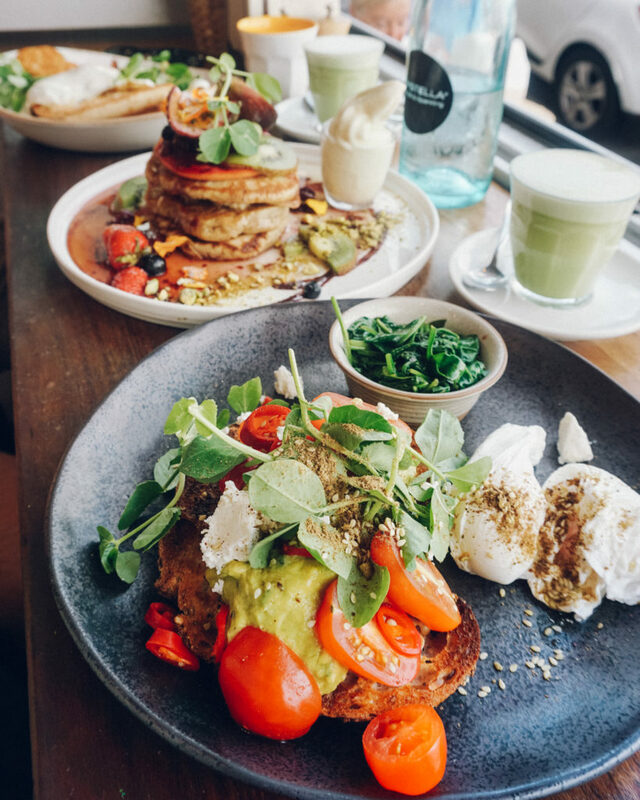 *I’ll be sharing my entire list of eats, activities, beaches and wineries for each city we traveled to below, but a few of my favorite food spots in Melbourne included Short Straw (anything on the menu), Matcha Mylkbar (matcha, obvi, matcha pancakes, vegan egg: yolk made with sweet potato & turmeric), Serotonin Dealer (raw desserts/treats, smoothies), Tall Timber (literally anything), Legacy Camberwell (poké bowl or any avo toast), Grill’d (grass-fed burgers, vegetarian burger, low-carb bun, thick-cut sweet potato fries!! ), Gilson (half roast chicken), and MOM café (bliss balls). 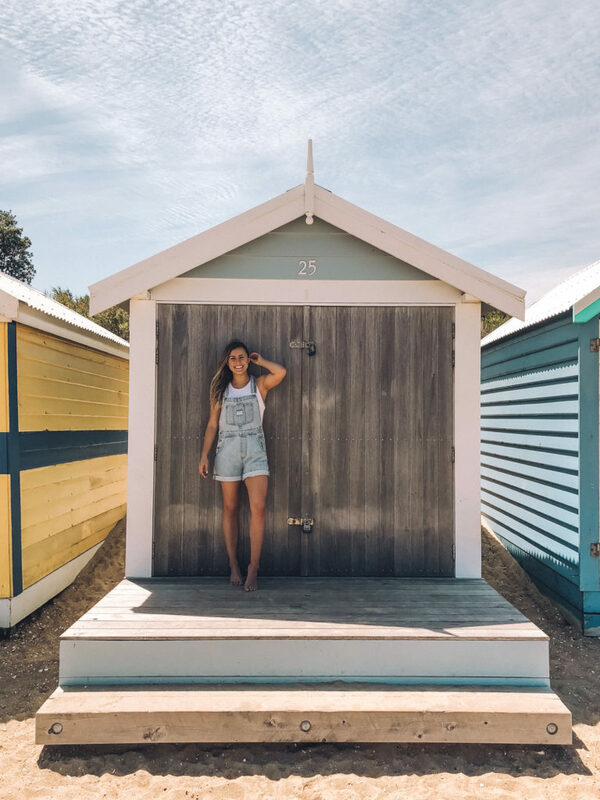 CLICK HERE FOR MY AUSTRALIA TRAVEL GUIDE! 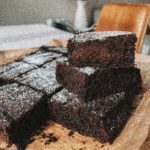 I was lucky enough to meet the two #girlboss owners behind Matcha Mylkbar and Serotonin Dealer, two cafés each with an incredible backstory. I left each place feeling so inspired not only to share more nutrition and wellness knowledge with those around me, but also to continue to dream big and push myself/pave the way for what I want in life. P.S. 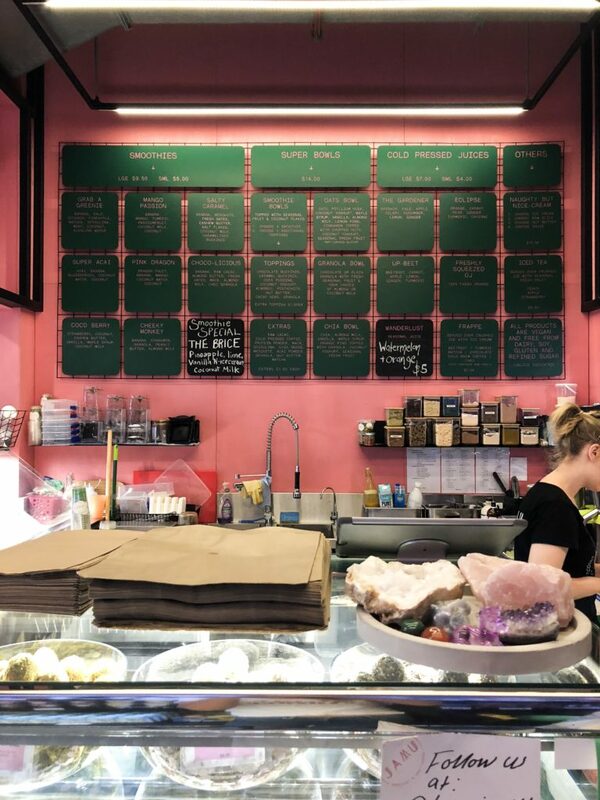 the raw treats are absolutely incredible at Serotonin Dealer—drooling at the thought of them as I type this. The Stones of Yarra Valley was our first winery of the trip and definitely one of the more picturesque locations. It was stunning. 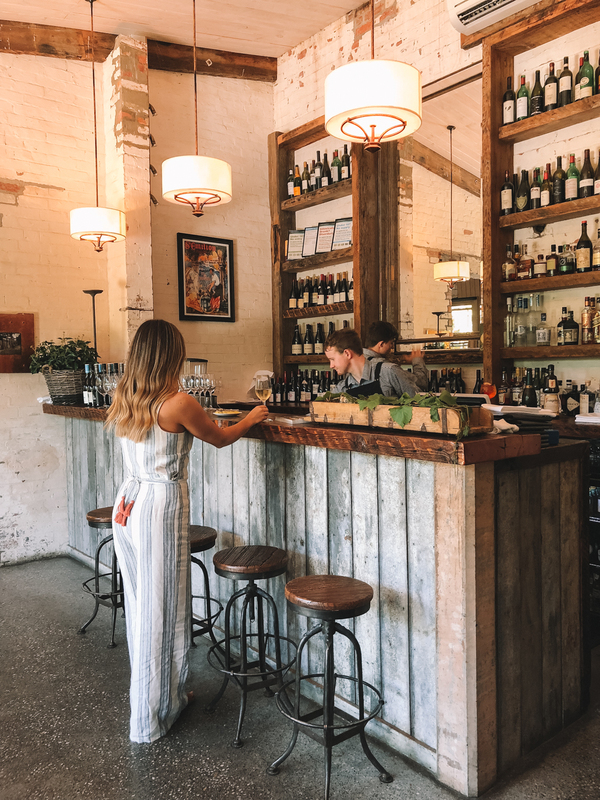 An entire precinct including stables and a barn turned café and bar, a dairy house made into a chapel, and their newest build; a wood fired pizza restaurant and bar. That night we relaxed on the beach at sunset and watched the twenty-something kite-surfers in the ocean for hours before we picked up dinner at Gilson’s to eat back at the Airbnb. We uber’d down to Brighten Beach to see the iconic Brighten Beach Boxes, a bunch of small shacks lined up along the beach painted all sorts of colors. The sun got us good and we left burnt. Really burnt. PSA: don’t take the sun lightly during the summer months in Australia. I brought along my American organic sunscreen and it did nothing but leave us with a 2-3 day burn. Buy the 50spf Aussie sunscreen. Just do it. PSA #2: something we learned very quickly; everything closes early, especially on the weekends. 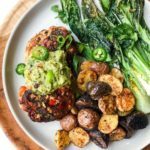 This may not be a big deal normally, but when you’re either traveling, coming back from a day-long excursion, or not locked in on the current time zone, it can be so frustrating! Almost to the point where it leaves you emotionally unstable and hanger forces you to shed a few tears… just kidding. But, seriously. Be prepared and plan ahead! The highlight of this day was stopping at Serotonin Dealer on our way back from the beach. 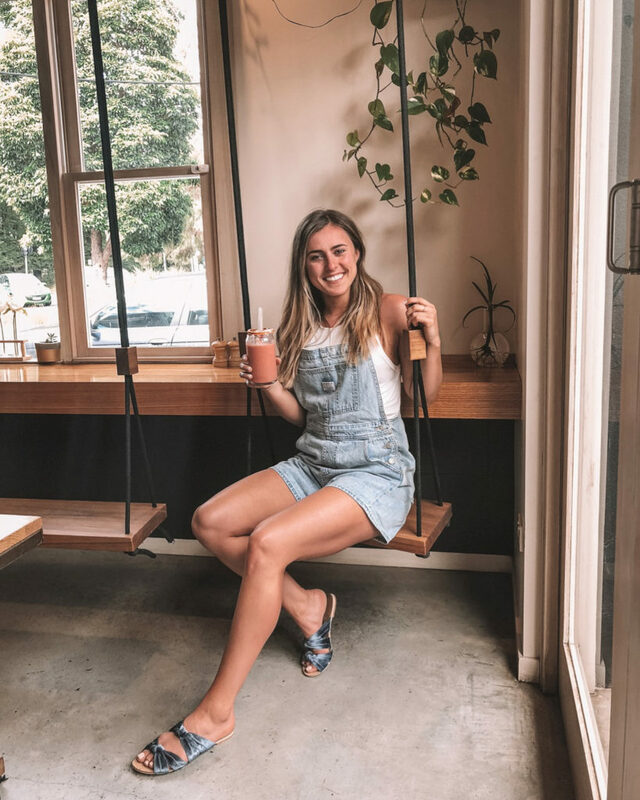 Emily, the owner, was kind enough to message me via Instagram and invite us in for some raw treats and smoothies while we sat on their happiness swings inside. Not to mention this was their day off and she came in after hours to spoil us with goodies! 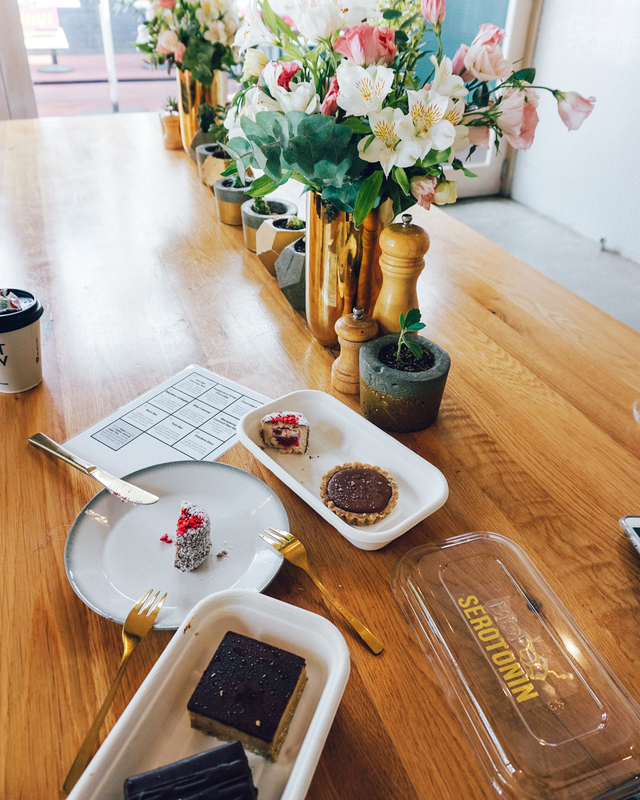 All the desserts were gluten-free, dairy-free, grain-free, refined sugar free… basically my heaven. I was blown away by the mission behind the café. You can read more about it on their website here. 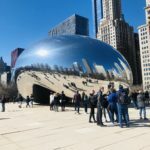 Walk the Botanical Gardens—this wasn’t something that initially sparked my attention when people recommended it, but I’m SO glad we did it. It was magical and so peaceful. I definitely recommend walking it in the evening. 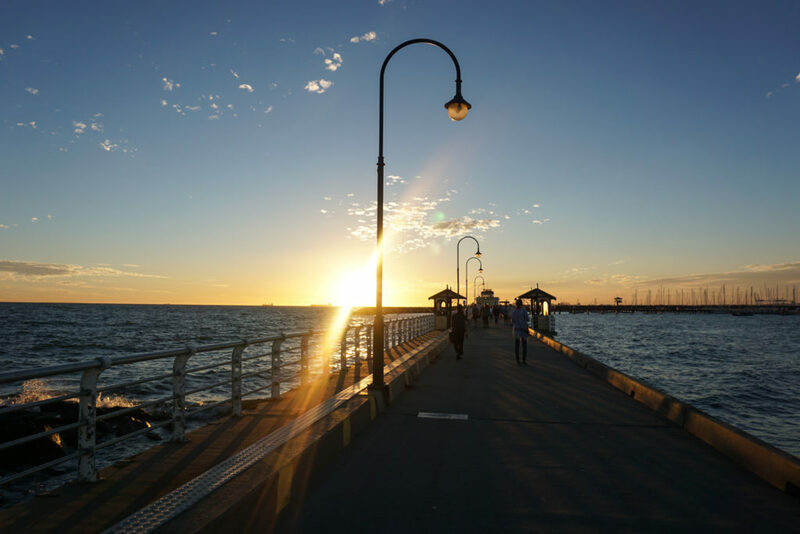 Go to the St. Kilda pier around dusk (7:45-8:30pm during summer months) to watch the penguins return to land after fishing all day. We did this, but only saw two penguins– they were so cute! If you’re unable to make it down the coast to Phillip Island to see loads more penguins, you should absolutely add this to your list! Tall Timber was such a delicious café. We went back for round #2 this morning, but this time for take away (to-go) on the bus ride to the airport. They have the BEST Aussie folded eggs, amazing shakshuka and French toast. Travel tip: take the Sky Bus to and from the airport for about $19 per person each way. Right away I noticed the small city-vibe. 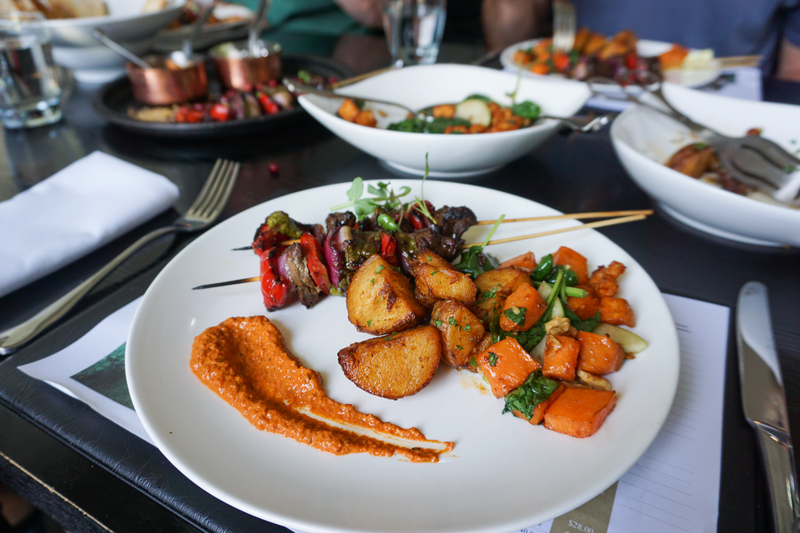 It was much quieter than Melbourne, had a lesser healthy food scene, but admired for the well-known Barossa Valley. The first stop on my list once we arrived was Nutrition Republic, an organic espresso & elixir bar with an impressive menu of smoothies, toasts, superfood lattes, paleo granola, eggs, juices, raw treats, chocolate, etc. I could’ve had one of everything. Day 5 was probably our most spontaneous day of the trip. With no plans for the day until breakfast at Nutrition Republic (again), we decided to rent a car after having recommended by our waitress that we go to Second Valley to hang at a local’s beach. It was such a tropical spot. The ocean was aqua colored, the beach so relaxed and it had a hidden spot for cliff jumping. 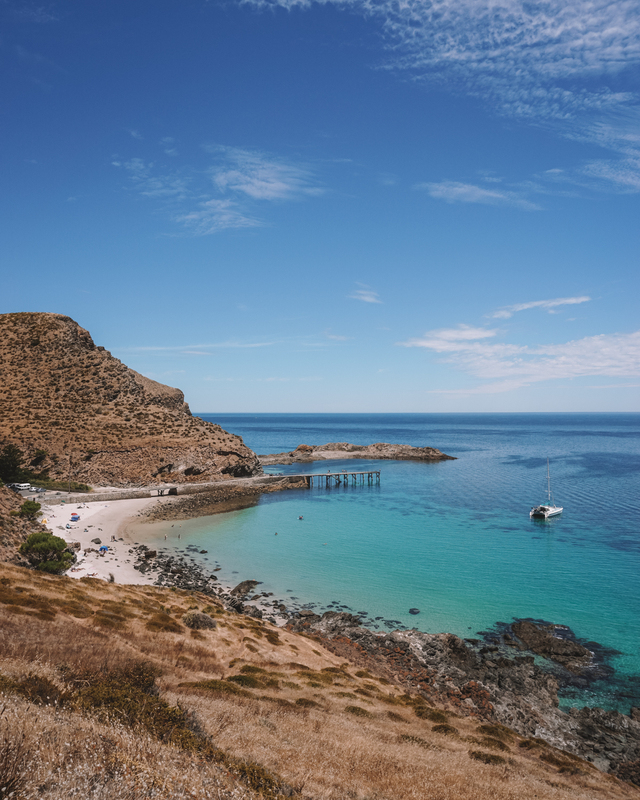 I can see why the travel blogs or “things to do in Adelaide” Google pages don’t mention it. The locals want to keep it a secret—oops! 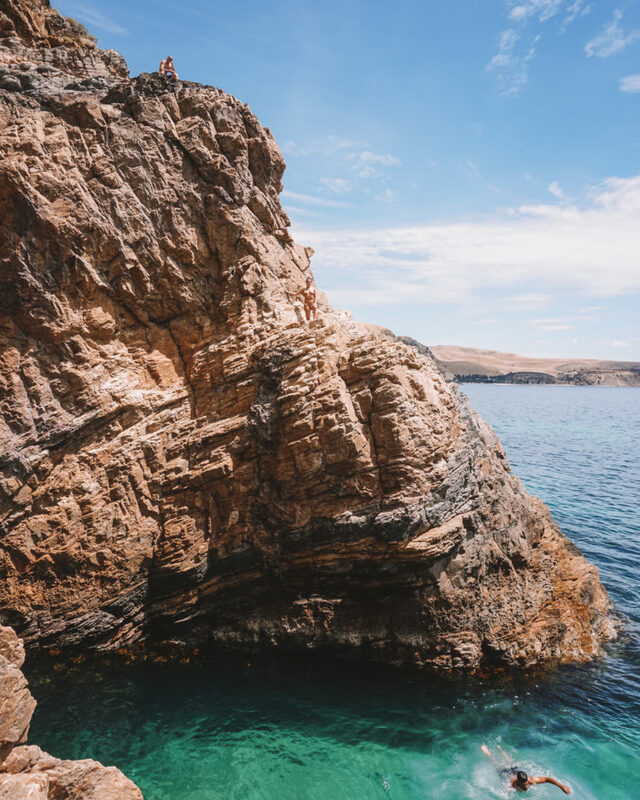 It was 100 degrees F and I felt adventurous enough to cool off by jumping off the 30 ft. cliff. It was incredible! On the way back we stopped at Goodies and Grains, a health food shop and juice bar in the Adelaide Central Markets. One of my favorite things to do on any vacation, or any day really, is to browse any organic markets or health food grocery shops. Often times I won’t even buy anything, I just love looking to see what they sell or if I recognize any brands. (I could shop in Whole Foods for hours). We also made a quick stop at the Plant 4 Bowden market—open Wednesday’s 4-9pm and Saturday 9-3pm. Multiple food options, a juice shop, another Nutrition Republic café, and several jewelry/clothing vendors set up inside. I worked out at a local gym when we got back to home base. *Travel tip: A lot of times gyms will offer a 3-day, 7-day or even 2-week free pass for initial sign-up. Perfect for vacation. Otherwise, most fit passes, class-pass or day passes require a small fee, anywhere from $5 all the way up to $35 per day visit or class to workout. Personally, I love working out on vacation. It allows me to stay in my routine, get a good start to the day, energizes me and makes me feel so much better when I do decide to indulge on the yummy eats during the trip. Day 6 we ate breakkie at Whistle & Flute—so incredibly good! Such a cute spot too. 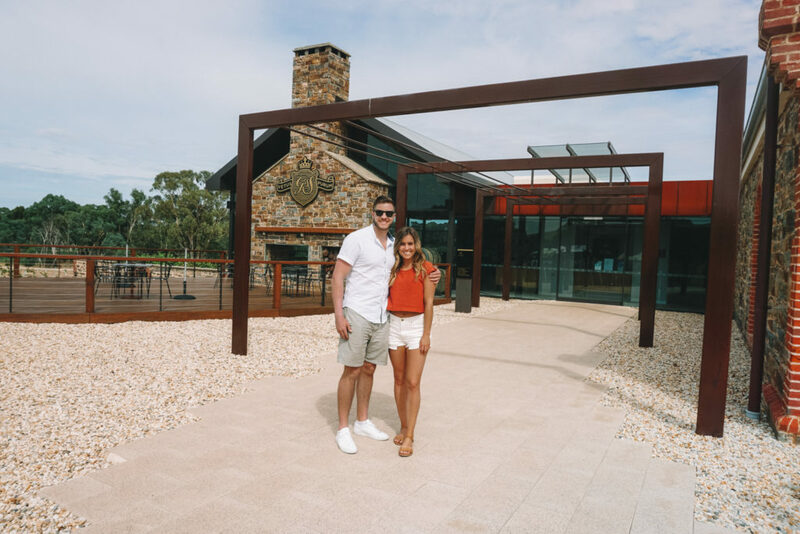 We toured several wineries in the Barossa Valley (booked a private tour with Amazing Wine Tours) for a day of wine tasting. 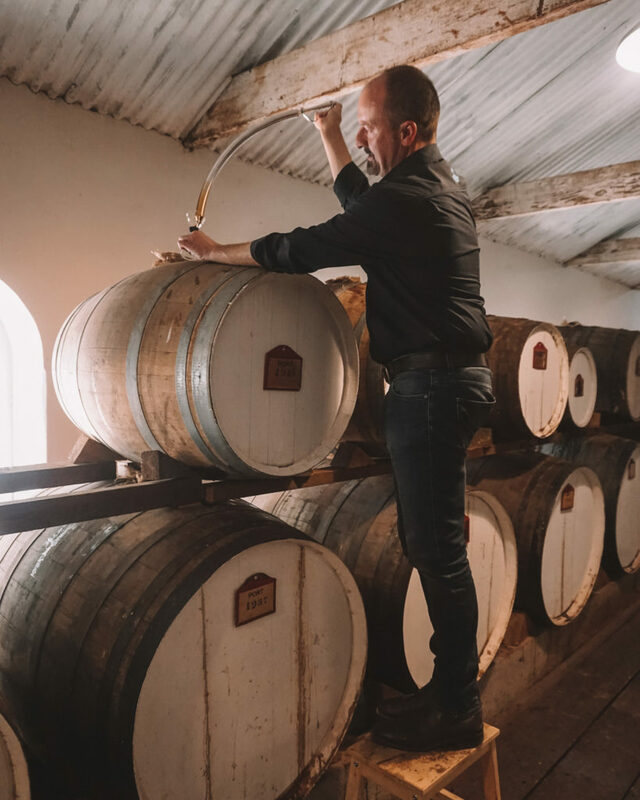 Bridger and I sampled wines at St. Hugo, Chateau Tanunda, where we tasted their premium wine selection and were even gifted a bottle from 2015 that was from 100+ year old vines, and lastly, Seppeltsfield Winery, where we sampled wine straight from the barrel that was from 1918. 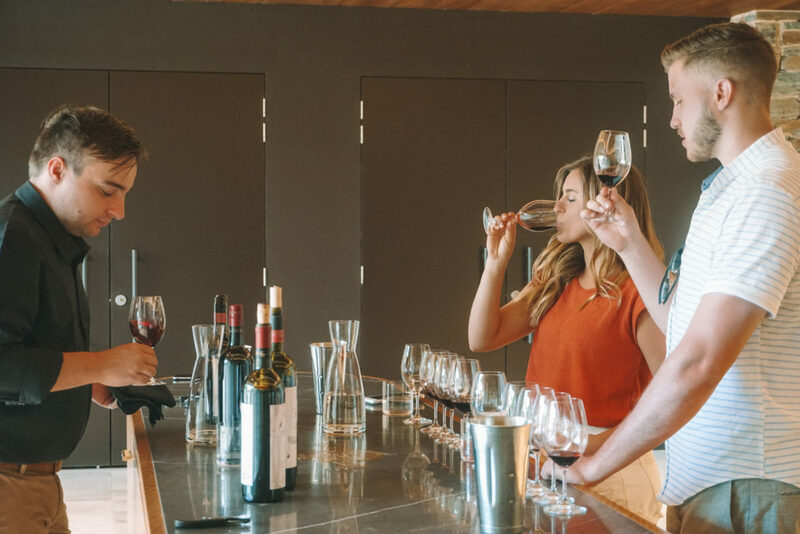 This was my first ever winery tour and I learned so much! Each winery was so different from one another and held tons of history. 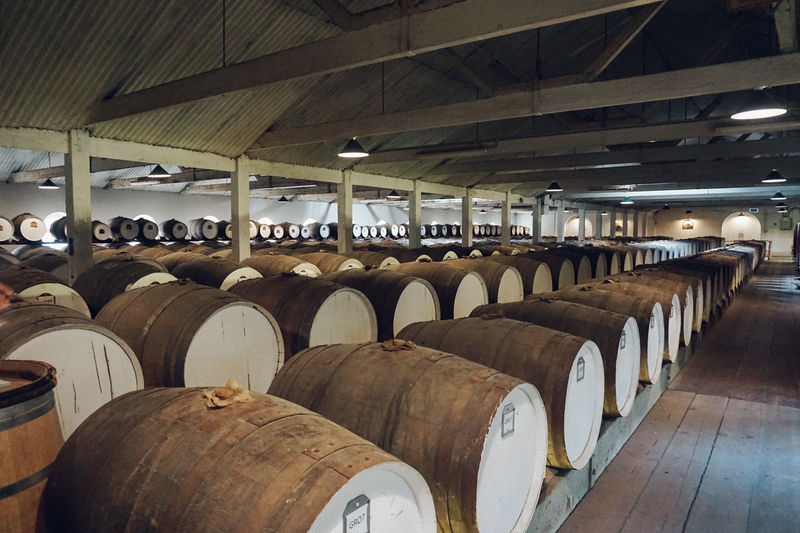 If you’re looking for a private tour of the Barossa for the day, I highly recommend checking out Amazing Wine Tours. They helped everything go smoothly, the driver was amazing and escorted us to and from each winery, happily took photos of our experience (he even stopped on the side of the road so we could all take turns taking photos on a beautiful palm tree-lined road. George was awesome) and was very knowledgeable. Day 7 was our last morning in Adelaide. We walked, luggage in hand, to the Adelaide Central Markets once again to stop at the first health foods shop we found to get smoothies before our flight. 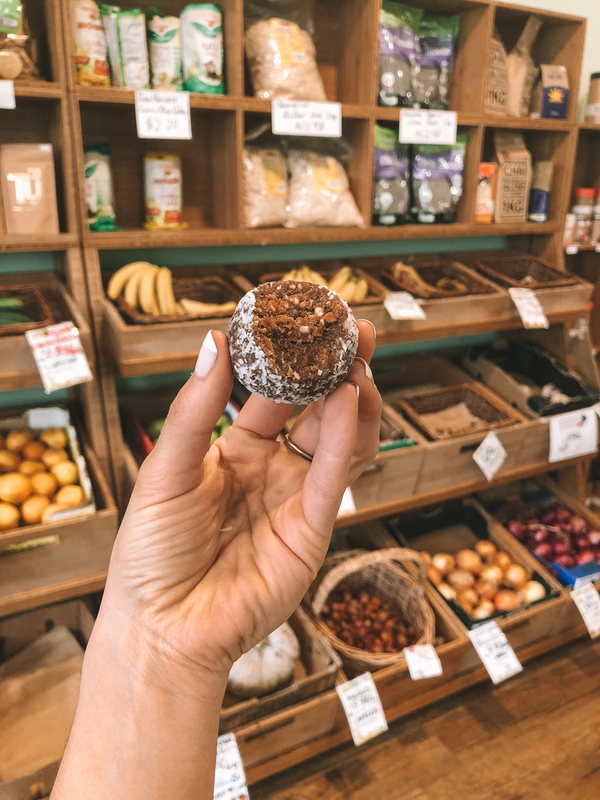 Fortunately enough, we stumbled upon Jamu, a super cute healthy café with all the superfood smoothies, bowls, bliss balls (Australia loves their bliss raw balls, I swear. You’d think I would’ve gotten used to seeing them everywhere, but still I was so excited to see them pop up in little shops along the way), chia pudding, coconut yogurt, juices, and ginger + turmeric shots—which we both took before the flight. I love these on days I’m flying to boost my immune system. We flew Qantas, the third time to our last stop, Sydney. Public transportation (via bus) was the cheapest route to our hotel in Bondi Junction ($4.60 for 2 people). Bridger and I worked out at the hotel gym before exploring the city. Again, finding time to fit in a quick sweat session isn’t always easy when you’re away. Utilize the small windows you have and get it done so you can enjoy the rest of your day! The weather was grey and windy when we arrived, but hot to say the least. We got dinner at Bill’s by Bondi Beach then walked around the shops until it started down pouring with thunder and lightning. Started our day with a great workout then headed to Speedo’s café for one of the best meals of the trip! The view from our seats overlooked Bondi Beach and it was a beautiful day. Being that it was Saturday, the farmer’s market was going on and had all the produce, pressed juice, local vendors, espresso, etc. Highly recommend visiting. 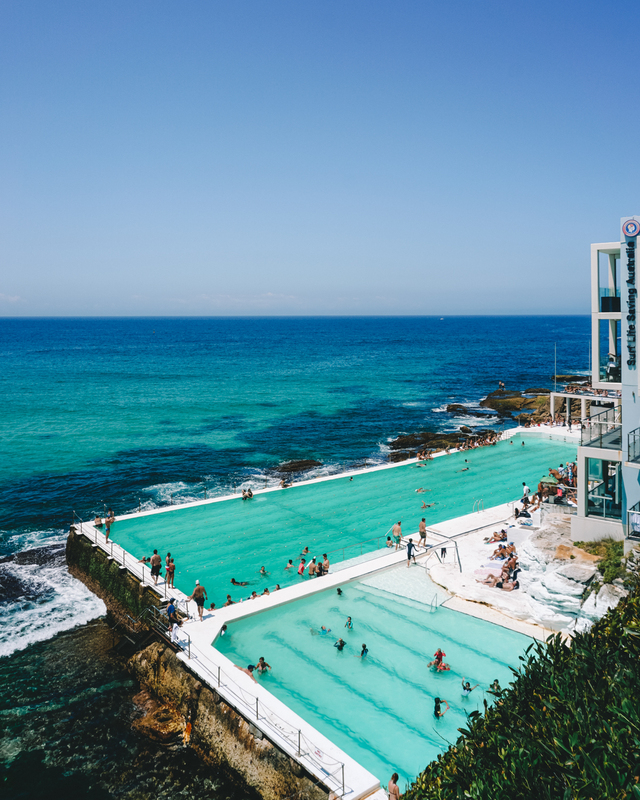 The Bondi Icebergs have been on my bucketlist of sites to see for a few years now. The photos of the pools have made their way around Instagram and have had me dying to see in person. We got dinner at Fishbowl that night and ate near a Cinema in the park. I thought I had good poke at Bill’s the day before, but damn! Fishbowl was on a whole new level—completely customizable to your own preferences. I’m such a huge poké fan now. Day 9, February 11th — my 25th birthday! I wanted nothing more than to run along the Bondi to Bronte trail, incorporating in some circuit workouts to start the day. We followed the workout with breakfast at Preach café. I got a bunch of sides (my ideal meal) of 2 eggs, avocado, roasted tomatoes, cooked spinach, and sweet potato and Bridger got the banana pancakes. Bliss. Once we got back to the hotel, we packed our things and took an Uber into the city for our last two nights of the 10-day trip. Darling Harbour was in walking distance from the hotel, which was great. 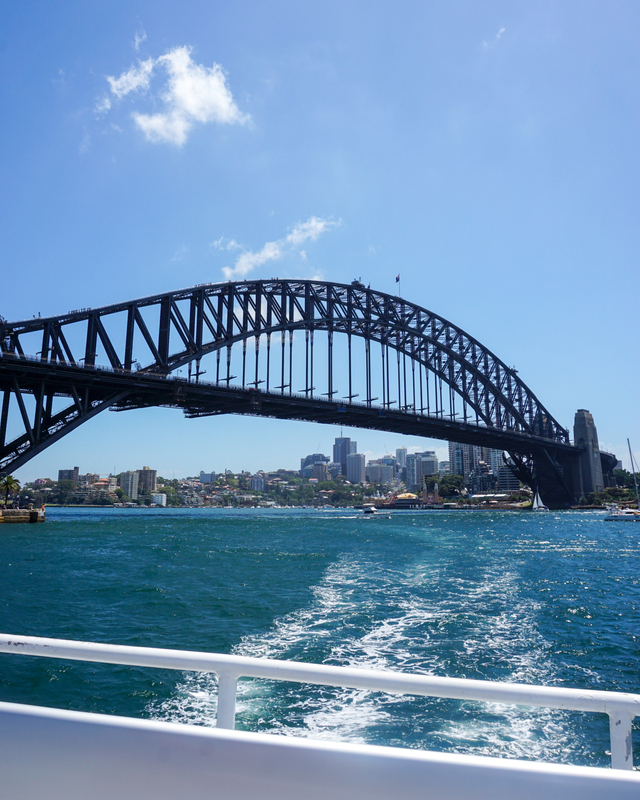 We took a ferry from there to Circular Quay, then took the Manly Fast Ferry to Manly Beach 20 minutes away. Manly Beach was a popular recommendation for the trip. It was a nice little town, very busy since it was a Sunday, and had lots of shops and eats. 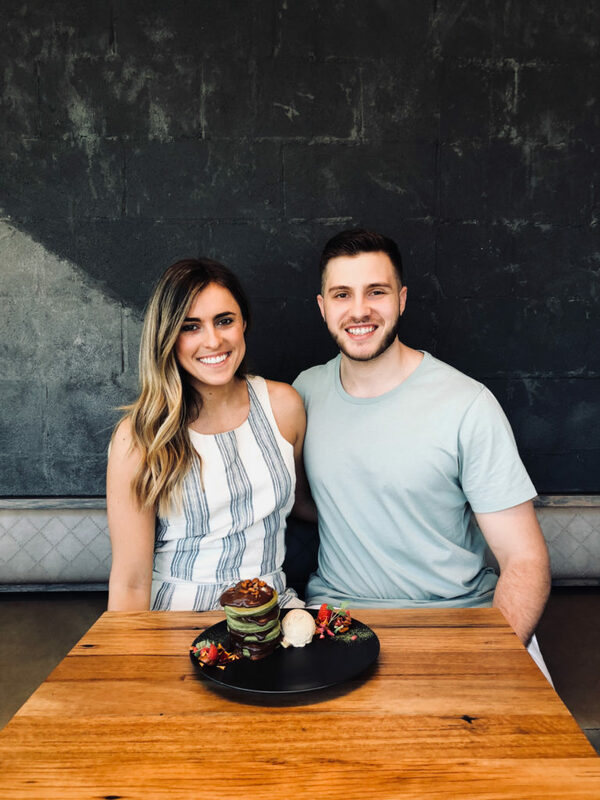 I got a smoothie bowl at Bare Naked Bowls and it was so refreshing– I definitely recommend! We bought $5 towels at a souvenir shop, laid on the beach and relaxed in the sun for a few hours before making our way back to the city. *Rent out the lounge chairs on the beach so you don’t get covered in sand from the wind! On the way back, we tried Bondi Wholefoods for some raw treats (several recs for this place), but it was closed! So disappointing, but luckily I stocked up on some Pana Chocolate earlier in the trip to take back with me for my birthday dessert. My birthday in Australia was truly magical. I doubt I’ll ever be able to top it! 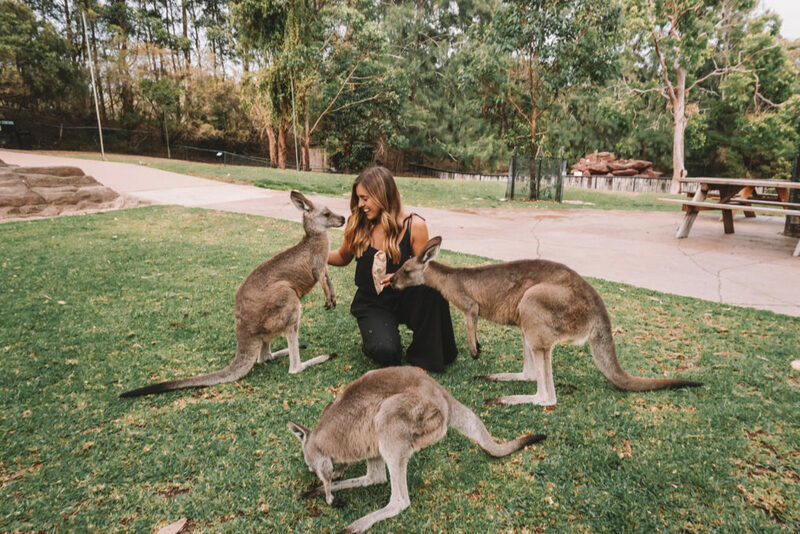 After searching the recommended tours in Sydney, I booked us a winery and wildlife small group tour through Trip Advisor for our last full day in Australia (I utilized Trip Advisor, Expedia, Hotels Tonight and Uber most on the trip). Since we hadn’t really seen any wildlife up until this point, it was time we saw a kangaroo. The bus picked us up at 7am and drove about an hour and a half north to the Australian Reptile Park where I kissed a baby alligator, pet a koala, and fed the kangaroos. I could’ve stayed out there all day! 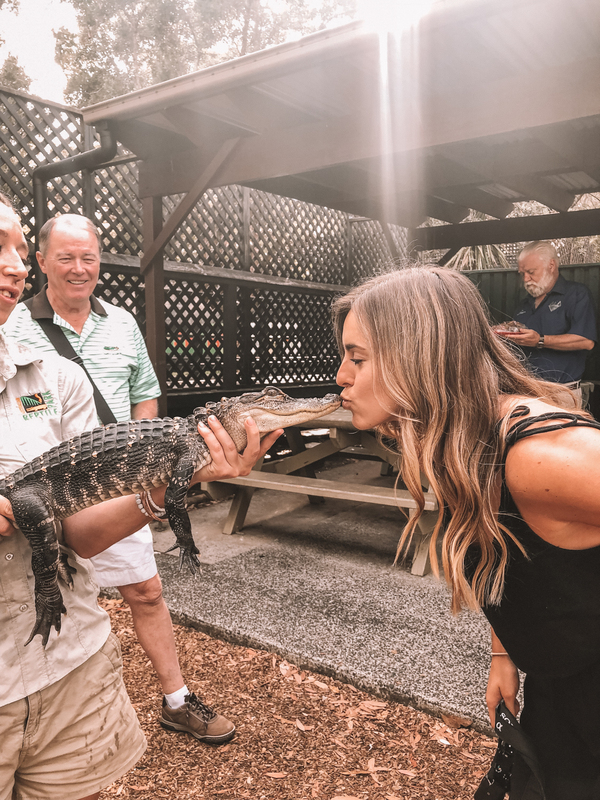 It was hands down my favorite part of the trip and such a fun experience. 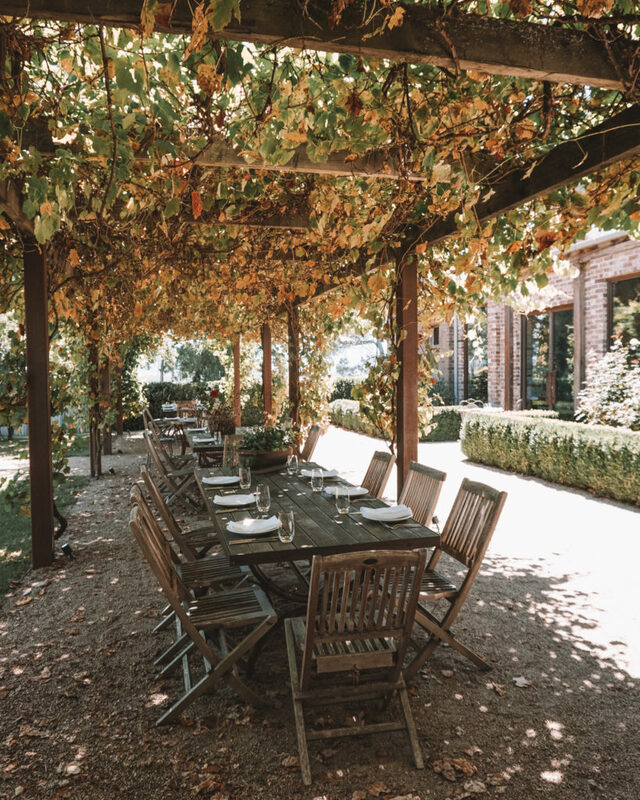 The bus took us another 45 minutes or so north to two different wineries in the Hunter Valley where we sampled wine, toured the property, and ate an amazing 2-course lunch (they accommodated my gluten and dairy-free preferences). The entire 10-hour tour was a bit pricey ($405 USD for 2 people), but honestly, it was worth every penny. Worked out, packed our things, headed to Bondi Wholefoods for breakfast (it was OPEN, success! ), then reluctantly went to the airport to catch our plane back to the states. Traveling home was a little more difficult than getting there. Neither Bridge nor I was able to fall asleep for longer than an hour during our 23-hour travel journey back to Seattle. Jet lag hit us hard once we got home around noon, but in order to get back on PST, we made ourselves stay up the entire day to be able to fall asleep at our usual bedtime to reprogram our circadian rhythms. 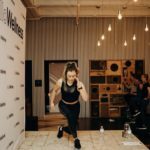 Working out is another helpful tip reduce symptoms of jet lag. I’m so grateful for this entire experience with Qantas Airways. 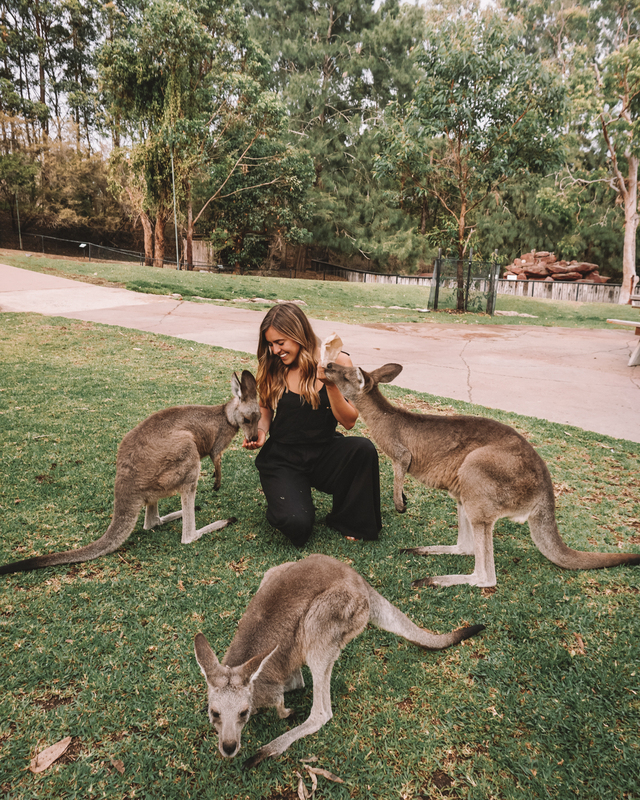 I had the time of my life in Australia, and to be there on my 25th birthday was a dream! I will most definitely be back. And honestly, if you have the opportunity to travel Qantas, do it! 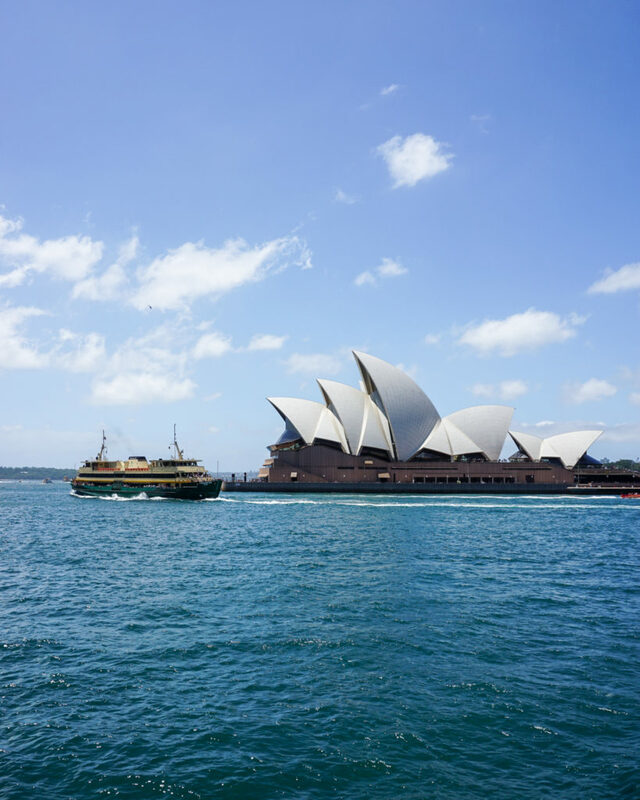 Throughout our entire trip to and from Australia, we experienced nothing but friendly staff, smooth check-in & very enjoyable flights.